Hugh had all 4 of his cut-makers finish in the top 20 and won The Glory this week by $127,111 over Steve, Brian G. and me. Pool picked low finishers 2nd place Jason Day and T7 Henrik Stenson were important golfers for all the money winners, but T13 Patrick Reed was the key for Hugh's victory. Only 3 player had more than 4 golfers making the cut but none of the 3 had more than 2 top 20 finishers. The 3 players who had the same team this week, listed above, split 2nd and 3rd place money. I won the draw for the penny on the uneven split. Sorry for the lack of updates during the final day. I had a death in the family and had to take care that business. I moved up one spot to take the lead in the Summer Season. Hugh jumped up 2 spots to 2nd. Jordie fell 2 spots to 3rd and Randy dropped one position to the bubble. I maintained the lead in the "TMC" standings. Chris and Dave both moved up a position to 2nd and 3rd, respectively. Jordie is now 4th. The top 5 spots in the Year-Long race did not change. The top 4 in order are me, Jordie, Mike M. and Randy. One more week before we get a break. In a little less than 3 days we tee it up in Cromwell, Connecticut at the TPC River Highlands and The Travelers Championship. I thought this was the first time we'd played this tournament, but after a little research I found this used to be called the Buick Championship, which we played in 2005 and 2006. Before 2003 it was known as the Hartford Open. 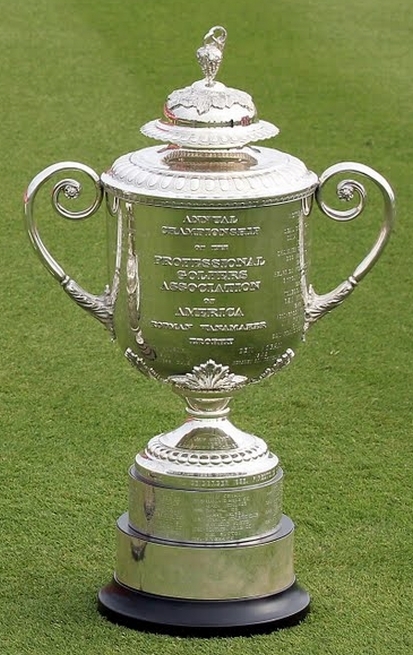 Having played 2 majors in 3 weeks, the Olympics next week, the Fed-Ex Cup coming up pretty quick and the tournament being played on a TPC course, I don't imagine this will be a stellar field. Seems like a good time for a golfer to take a break. I think I just got an invitation to play in the tournament in the mail. Maybe not, it's probably just a life insurance offer.